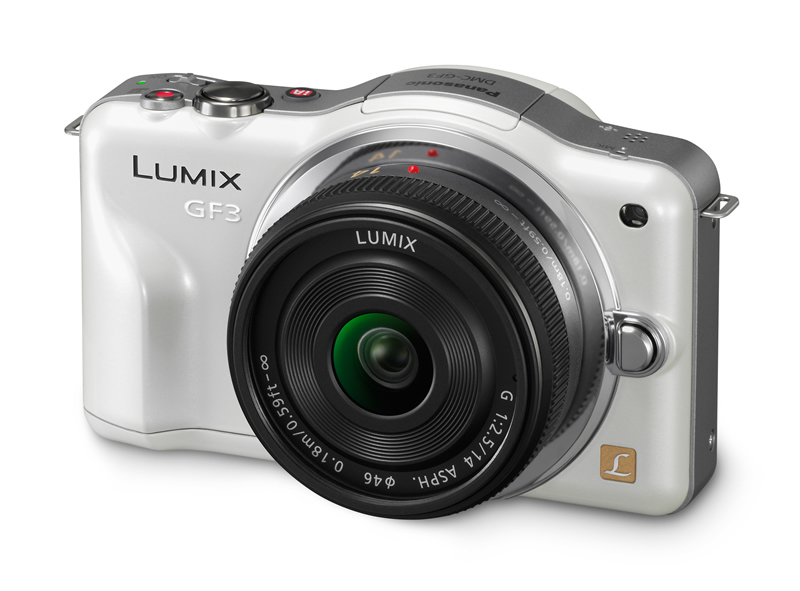 Panasonic has just announced its lightest and smallest digital interchangeable lens camera, the LUMIX DMC-GF3. 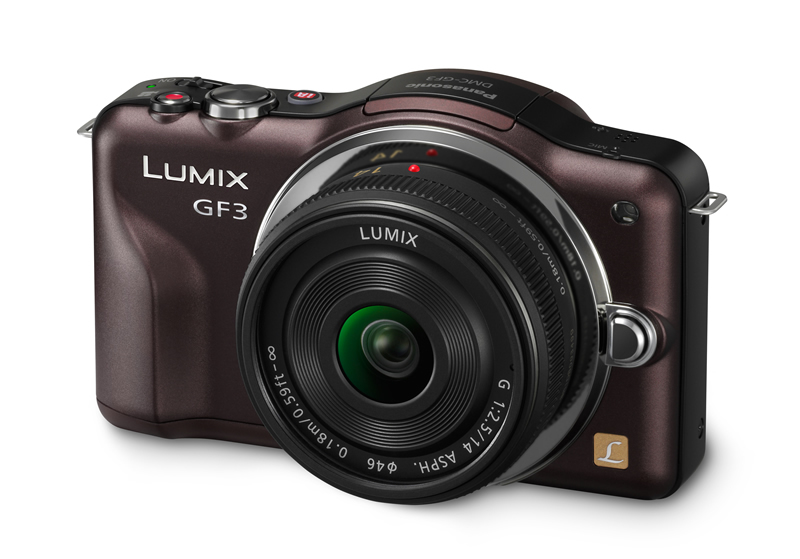 Replacing the 16% larger GF2, the GF3 features a smartphone-sized body weighing a scant 7.83oz (not including a lens). 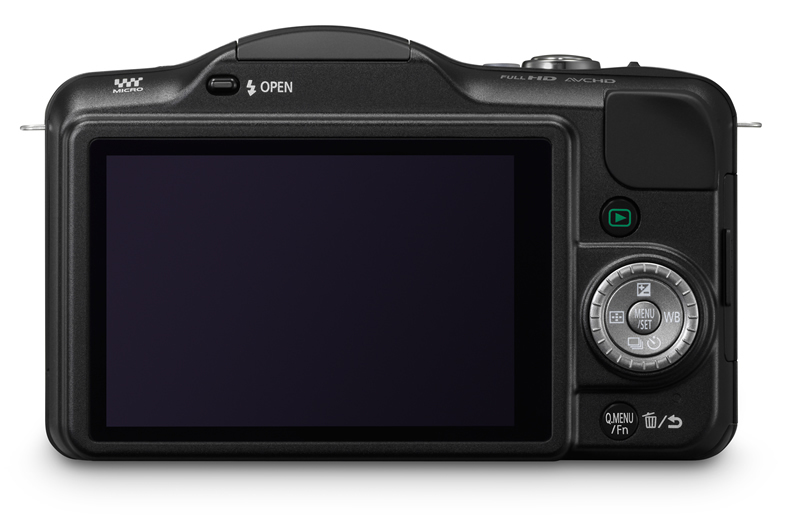 And like the Sony SLT-A33, the GF3 isn't actually a traditional dSLR, because it contains no mirror inside it. 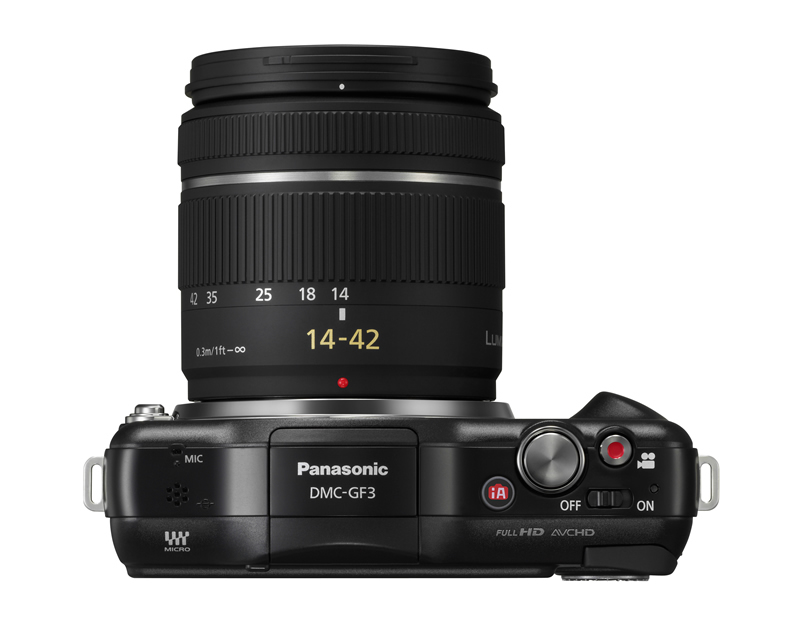 Dropping the mirror allows for a compact design, which will be used with Panasonic's new class of MFT (Micro Four Thirds) System lenses. The 12.1-Megapixel image senor is also able to capture 1080/60i HD video as well as (using a separate 3D lens) 3D still photos. 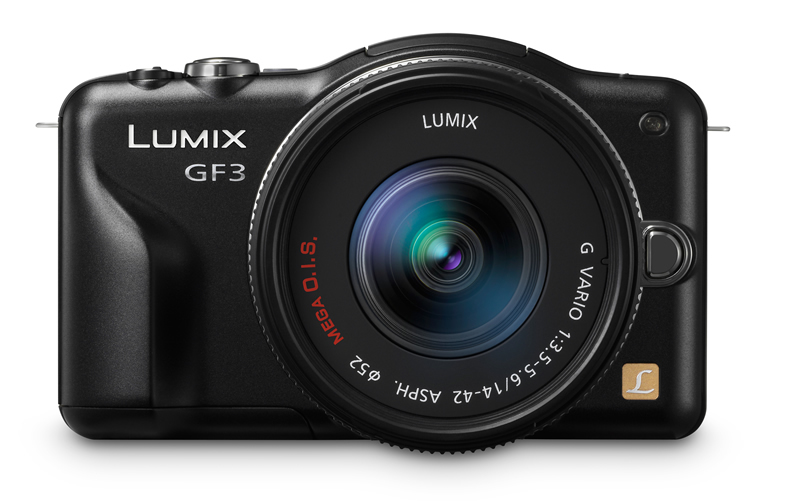 And, like its older brother, the GF2, the LUMIX DMC-GF3 retains the Venus Engine FHD image processor to ensure low-noise images when shooting in low-light situations. The GF3 uses a Contrast AF (auto focus) system, as opposed to a phase-difference AF, that controls auto focus right at the image sensor itself, ensuring super sharp shots without a long wait (it locks in approximately 0.18 seconds). When manually focusing, users will have the option of a 4x quick magnification, allowing users to make sure they've got the focus exactly where he or she wants it. The GF3's 3.0-inch touch enabled LCD (460k dot) means a smartphone-esc experience navigating and even customizing menus to each user / level of expertise. Also included are a "highly-efficient" Dust Reduction System as well as the ability to customize the look of any picture you take in various style modes, including "Expressive", "Retro", "High Key", "Sepia", "High Dynamic", "Miniature Effect", etc. 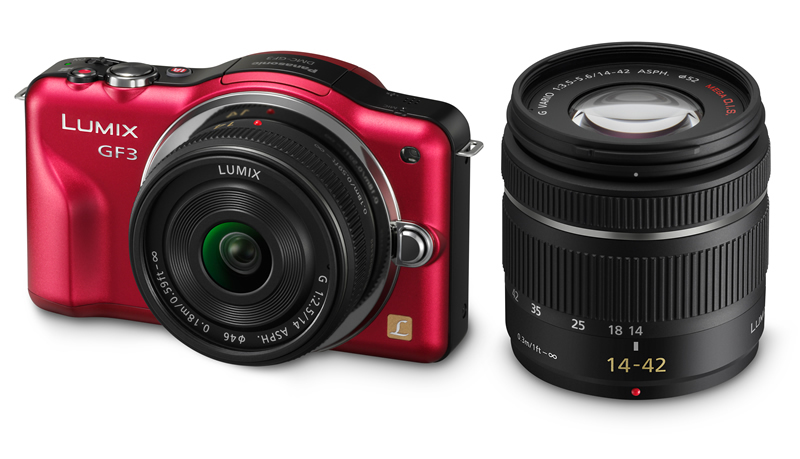 Look for the new Panasonic LUMIX DMC-GF3 to be available in black, white, red, and brown around July of 2011. The initial kit has an MSRP $699.99, and includes a 14mm prime lens. 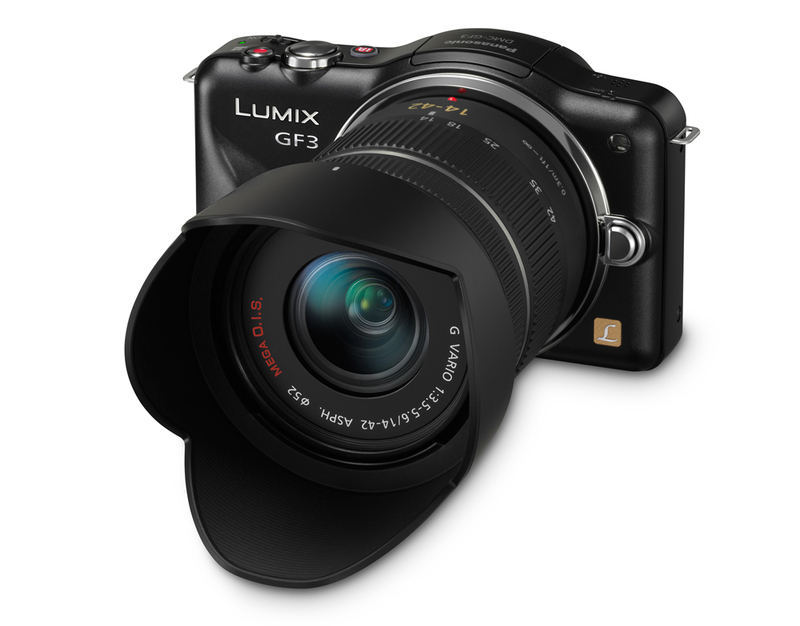 In August of 2011, a $599.99 12-42mm GF3/lens kit will be available. Also in August, Panasonic is planning to release a 25mm / F1.4 prime lens (not a kit), but pricing won't be announced until 30 days prior to release.